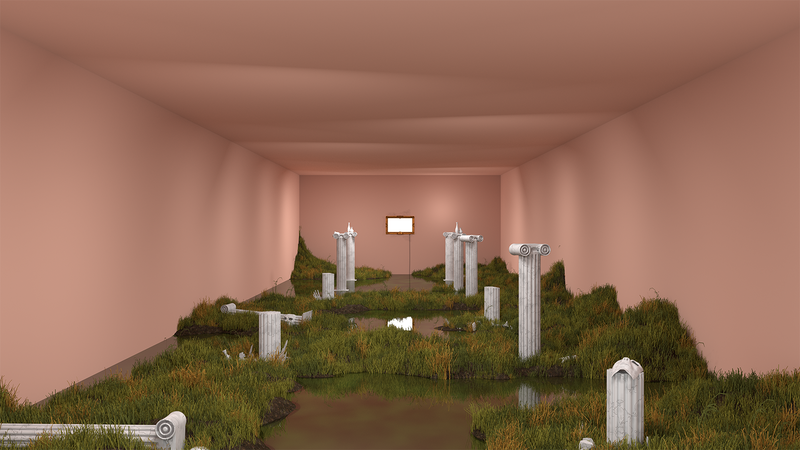 Surreal Galleries is a project that I used to stretch my CG rendering skills as far as I could. The project is loosely inspired by The Mysteries of Harris Burdick. I created scenes that tell a story, they look real but don’t quite fit into any imagined scenario. Some specific techniques I learned include: using randomized particle fields attached to mesh surfaces to make natural grass, combining and subtracting noise textures to make realistic cracks in marble, and using mesh displacement and procedural bump maps to give the gold and bricks a beaten look. These scenes were built from procedural material tests, shown below. The tests were created using the cycles render engine in Blender 2.76. The goal was to approach hyper realism using only node-based procedural texturing. The renders use only 3 tiled image textures, everything else was constructed with various compositing techniques and fractal patterns (noise, voronoi textures, etc. ).